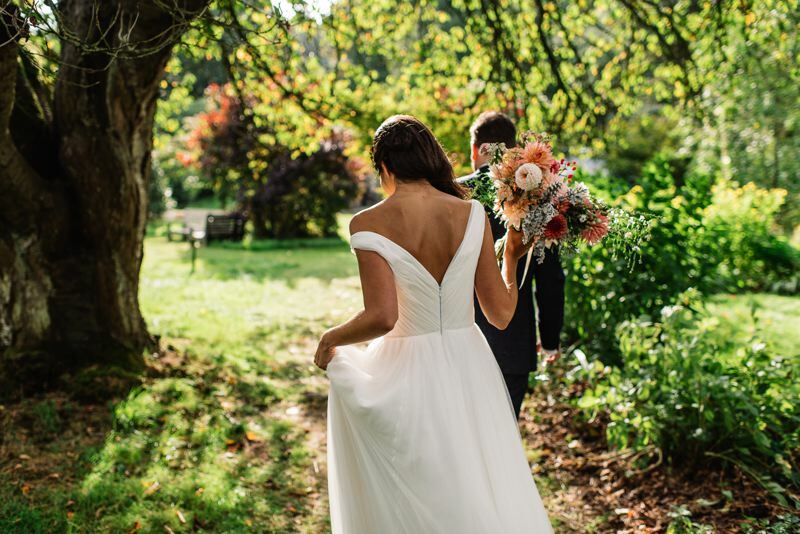 This is such a treat… Walcot Hall is a truly unique wedding venue steeped in history, featuring an abundance of period features and charming interiors. This beautiful Georgian Manor House was formerly residence to Lord Clive of India and overlooks a lake and rolling parkland with beautiful gardens to the rear. 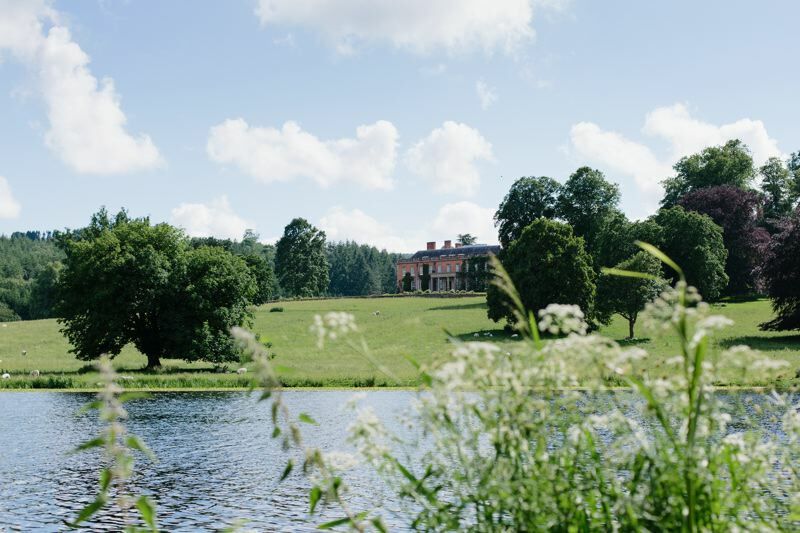 The drive to the Hall takes you over a bridge crossing the lakes, up a tree-lined avenue and to a carriage sweep in front of the main house. As a private family home, Walcot Hall has a relaxed, homely vibe where everybody feels welcome. The estate as a whole has an impressive combination of natural beauty & splendid architecture as well as plentiful character! Every room is furnished with antiques, cosy furniture, contrasting fabrics and an eclectic collection of paintings. The Ballroom, frequently used for wedding receptions, is a purpose built, free-standing building with 30ft high ornate ceilings, crystal chandeliers, open fireplaces, gilt mirrors, tall sash windows all set within acres of beautiful gardens which can host up to 150 guests for a sit down meal or 200 for a buffet / party. Walcot Hall offers a 48 hour exclusive hire agreement, no supplier contracts and the Ballroom may be decorated and used as the reception venue for the couple to host their celebration however they like. There is enough accommodation to house around 100 people on site for the weekend of a wedding. This is through a variety of options from traditional holiday apartments to a converted Victorian Tin Chapel, yurts, gypsy caravan and even an old fire truck with a brass bed in the back! I got just a little (read A LOT) excited when I discovered Walcot Hall. The exclusivity, flexibility and the creative team behind the venue promise the most amazing planning journey and ultimately the most amazing wedding day. This is a true hidden gem with tons of character! 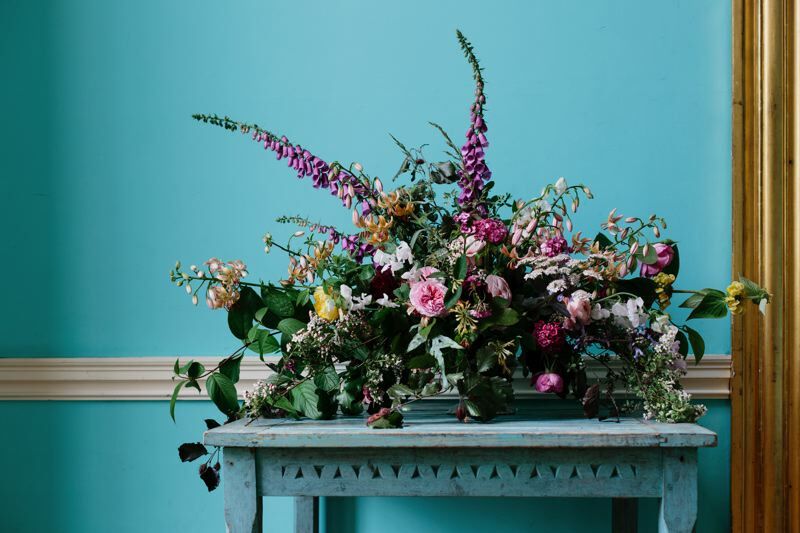 Just check out the delightful gallery, a smörgåsbord of talented Wedding Photographers and utterly beautiful inspiration.